Mr. Ben Fountain was born October 1, 1935 to the late M. C. and Jessie Mae Fountain. He departed this life March 15, 2019 at Regional Medical Center. He was preceded in death by: his parents, 3 sisters, 2 brothers, 1 daughter, 4 sons, 2 wives and 2 grandchildren. 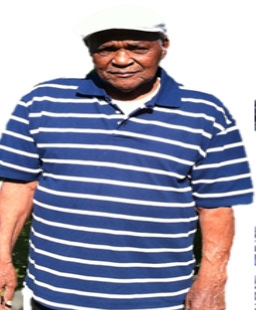 He leaves to cherish his memory: 8 children: Mary (Autrey) Peagler, Wetumpka, Al; Mary Nell, Greenville, Al; Timothy (Teresa) Fountain, Greenville, Al; Mary (Tommy) Payne, Luverne, Al; Walter (Patrina) Fountain, Ft. Deposit, Al; Elizabeth, Veronica and Ben Jr. New York; Stepchildren: Eric (Vernessa) Edwards, Huntsville, Al; Dorothy (Larry) Duncan, Columbus, Oh; Carolyn Benion, Fairview Park, OH; Cynthia Pringle, Huntsville, Al; Isaiah (Chauncey) Edwards III, Jacksonville, Al; Debra (Edward) Kent, Montgomery, Al; Wanda Womack, Jacksonville, Fl; Stephanie Edwards, Huntsville, Al; Darleen (Archie) Brown, Prattville, Al and Tewonda Farrar, Durham, NC; 3 sisters: Lucy Lewis, Mildred Stallworth and Dr. Margaret Fountain; a host of sisters-in-laws, (52) Grandchildren, (12) Great grandchildren, four of which he help to rear, nieces, nephews, cousins, God Daughter and friends. Special best friend and fishing partner, Mr. James Peterson, Georgiana, Al.